Use this website to quickly find the most important information about Cape Town International Airport: Flights (Departures, Arrivals), Parking, Car Hire, Hotels near the airport and other information. Plan your travel to Cape Town Airport with the information provided in this site. Check Cape Town Travel Guide at Bautrip for more information about Cape Town. Cape Town International Airport (IATA: CPT) is the second biggest airport in South Africa. 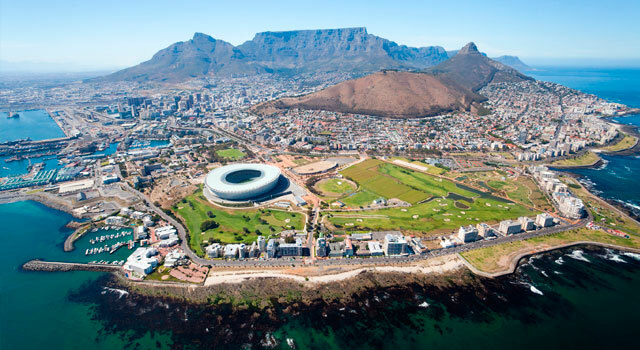 CPT Airport is located 20 kilometres south-east of Cape Town city centre. 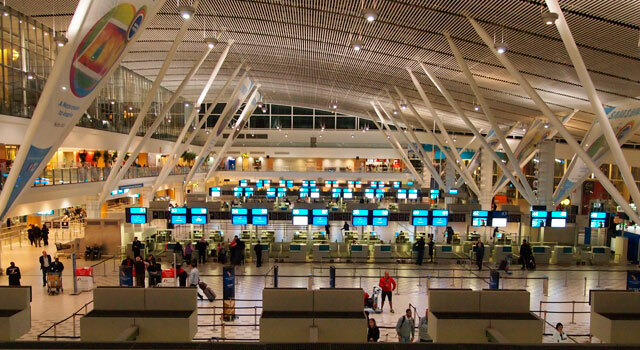 Cape Town Airport served 9,7 Million passengers in 2015. The Central Terminal in Cape Town Airport was built in 2010, to connect Domestic and International Terminals. 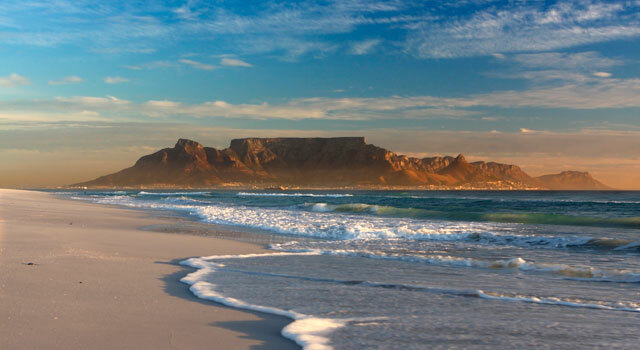 Cape Town is the major tourstic destination in South Africa. Cape Town International Airport (IATA: CPT, ICAO: FACT) is the main international gateway of Cape Town in South Africa and surroundings. Is the second busiest airport in the country and the third one in Africa. Located approximately 12 miles (20 km) from the city centre of Cape Town, CPT airport operates with international and domestic flights. Is the only airport in the Cape Town metropolitan area that offers scheduled passenger services. 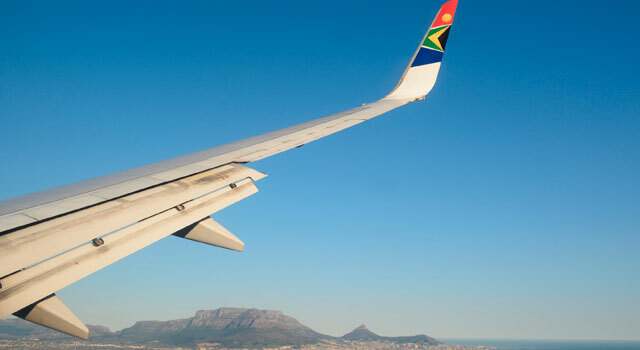 It also has direct flights to South Africa’s other two main urban areas, Johannesburg and Durban, as well as flights to smaller centres in South Africa. The airport has direct flights to several destinations in Africa, Europe and Asia. The total passenger traffic in 2017 was 10,211,390 passengers. The busiest season of the airport is from November to March. One of the improvements that allowed the airport increase the number of passengers was the celebration of the 2010 FIFA World Cup..
Cape Town Airport has domestic and international terminals, linked by a common Central Terminal were all check-in take place, so it can be considered that the airport acts as a single Terminal airport. The main terminal building has three floors: The departures are located in the upper floors and arrivals in the lower floors. On the 3th floor there are some retails and cafés as well as a Spur/Cactus Bar and a Smoking area. International Terminal: It is located at the north (left side of the terminal building). Is required to firstly check-in into the Central Terminal. Domestic Terminal: It is located at the south (right side of the terminal building). It is required to firstly check-in into the Central Terminal. Cape Town Airport has almost all the facilities that an international passenger may expect, such as: Hotels, Banks, Shops, Several Restaurants and Cafés, Chapel and prayer rooms, Conference rooms, Medical service, Restrooms,.. There are 24 airlines operating at the airport, with nearly 100 destinations. All the airlines that operate in South Africa fly to Cape Town Airport. It is a major gateway for tourism in the country. Some of the flights to International destinations are only seasonal as Paris, Zurich, Munich, Frankfurt. 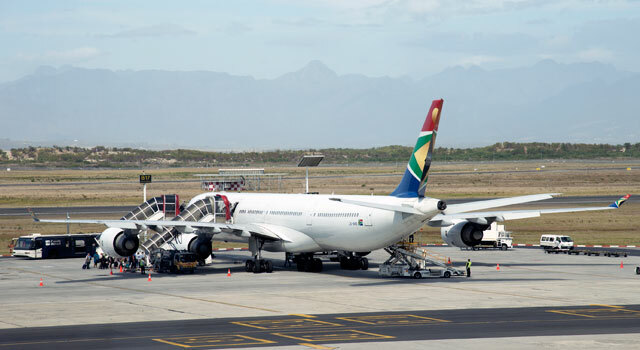 The busiest route from the airport is the connection to Johannesburg with more than 4.5 million passengers annually, being the ninth busiest route in the world. - Car Hire: It is one of the best options if you visit Cape Town area for tourism. Check prices here. You can also book your car through our search engine. The airport was firstly opened in 1954, replacing Cape Town’s previous airport. In preparation for the 2010 FIFA World Cup, Cape Town Airport was extensively renovated and expanded. The main focus was the development of a Central Terminal Building which allowed to link both terminals, international and domestic. Currently the terminals share a common check-in area. In November 2009 the departures level was opened but the entire building was opened in April 2010.